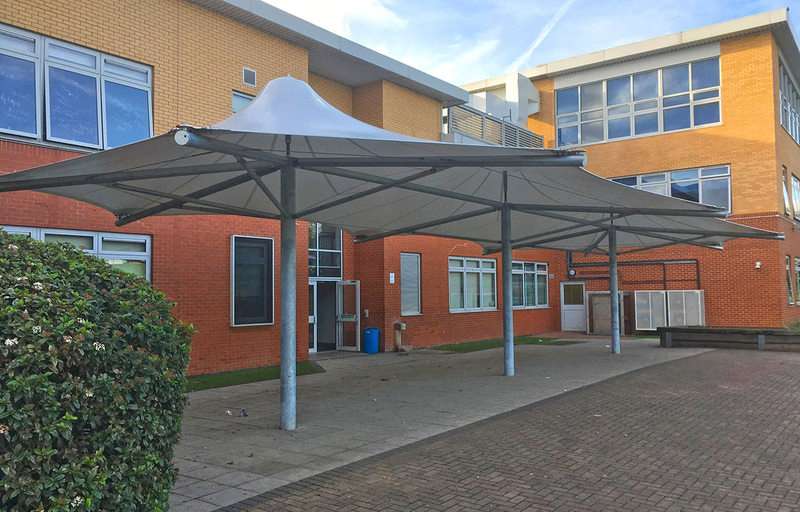 Looking for an outdoor canopy solution to provide shade or shelter from weather conditions such as sun, hail, snow and rain? 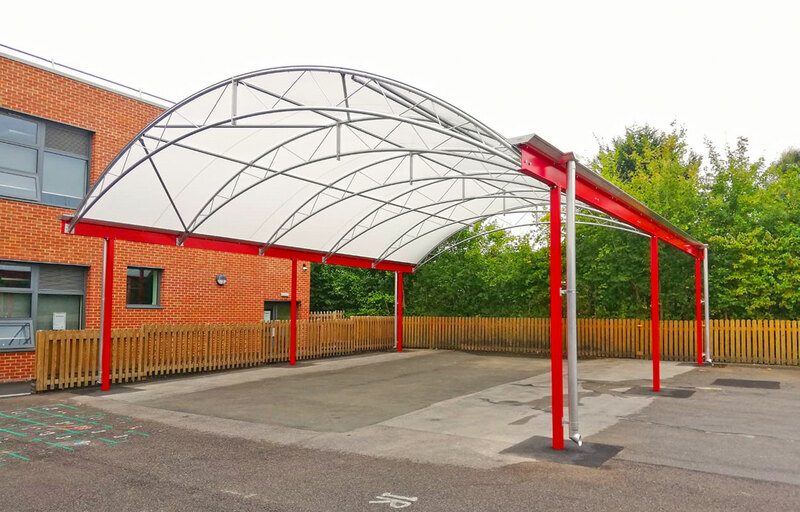 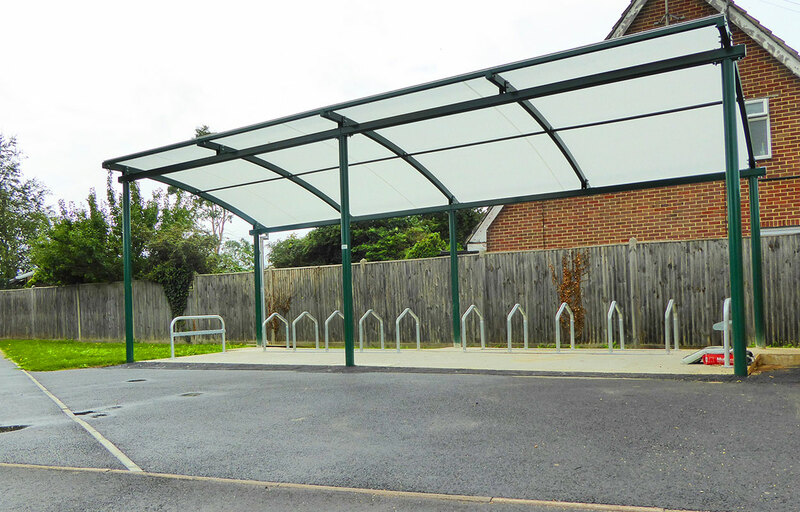 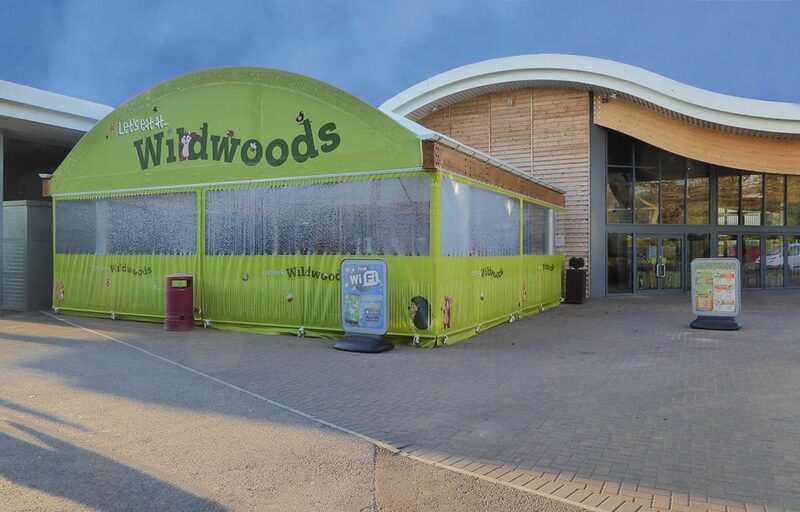 Our timber canopies or metal (steel) canopies can be used to increase usable space in your school, cover outdoor play areas, provide areas of reflection, increase retail space, cover muga areas to maximise the usage, provide weather protection for your customers. 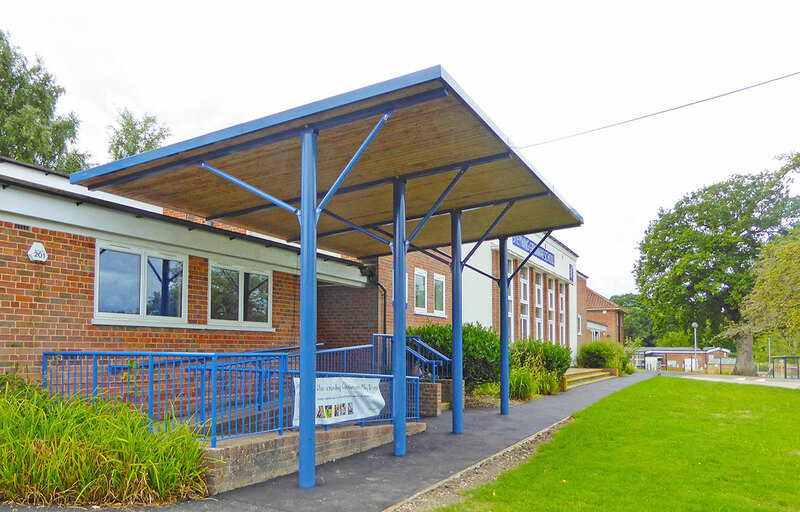 Increase your revenue and customer experience by providing a covered dining areas with a Fordingbridge Canopy. 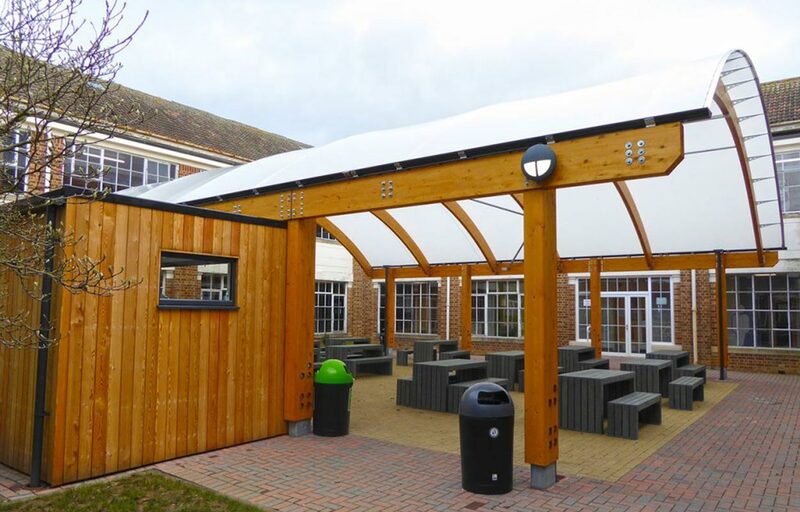 Fordingbridge design and build outdoor canopies for all sectors including schools, colleges, garden centres, sport & leisure, retail, commercial, emergency services and crematoria. 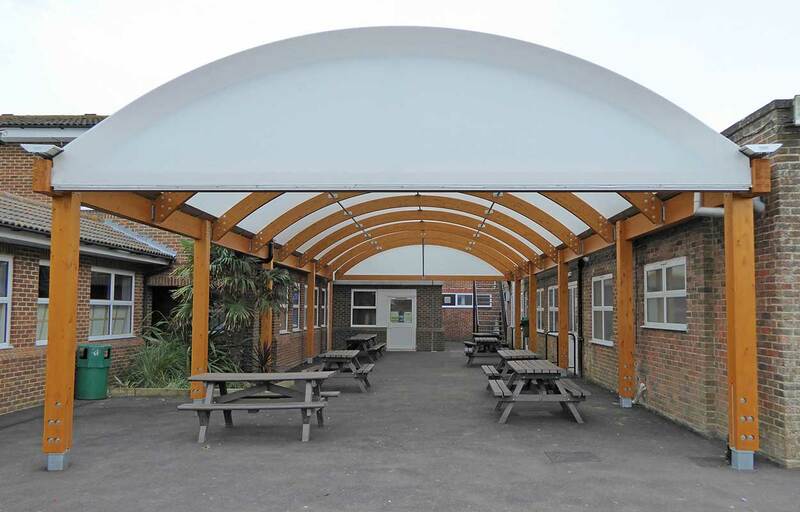 The versatility of our canopy range means your outdoor canopy can be stand alone or fixed to a building. 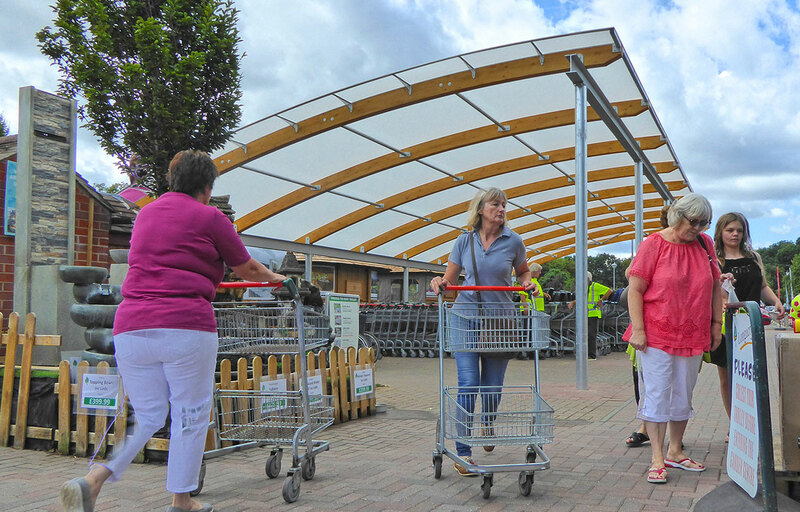 Alongside the versatility, the curved roof canopies can create appealing spaces for the extra wow factor. 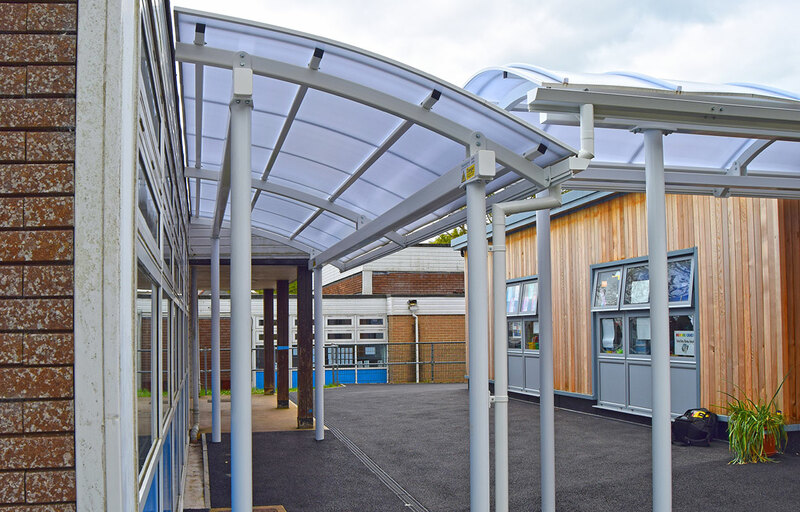 You have the option for an ‘off the peg’ standard tensile fabric canopy or bespoke canopy solution. 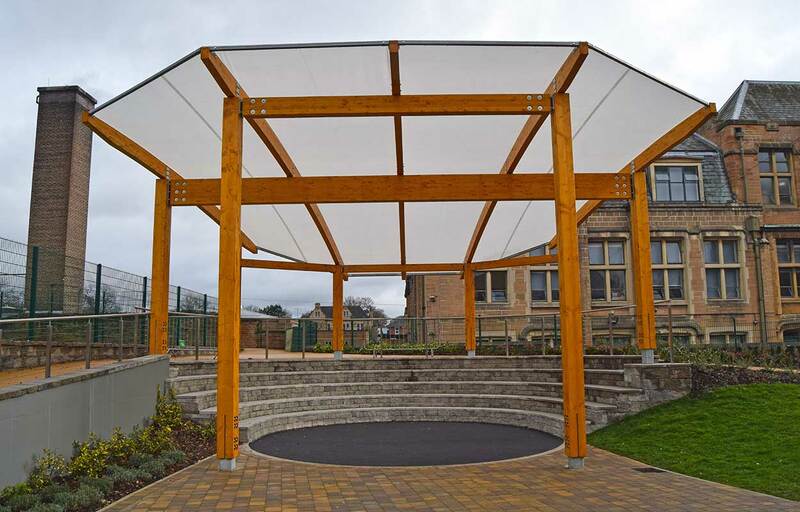 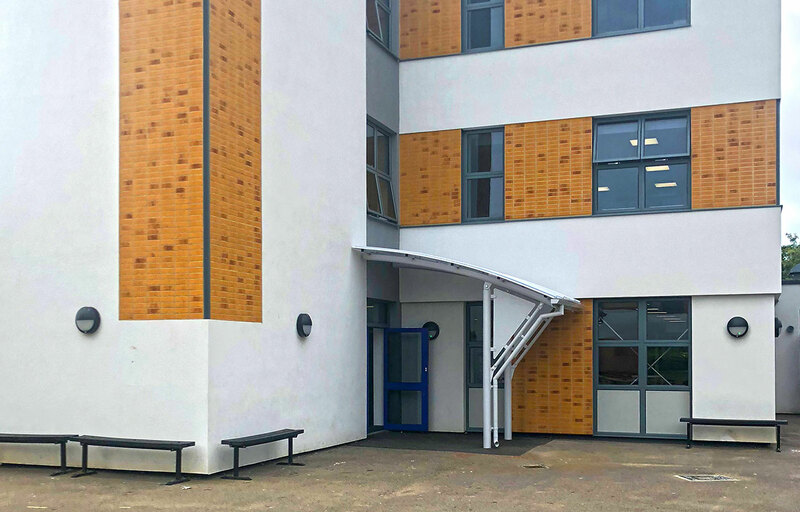 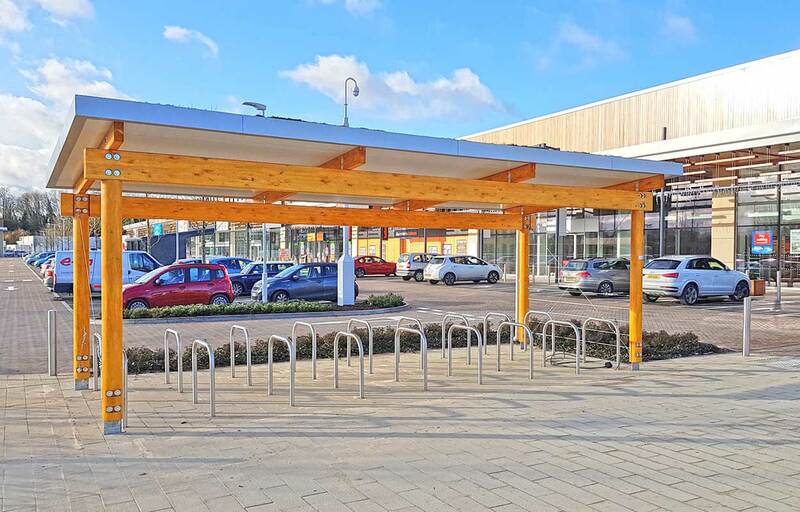 You can select timber or steel for the frame of your canopy depending on which aesthetic best blends into your environment and the style to achieve the practical elements of your requirements, be it school, retail or healthcare. 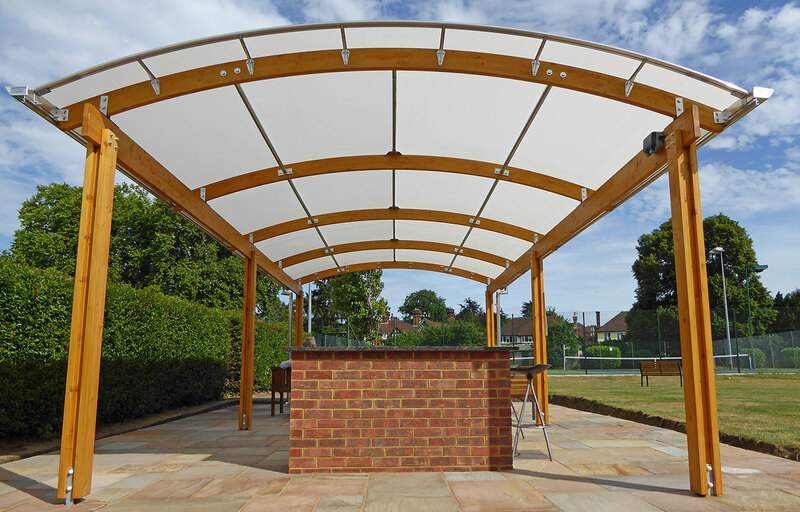 There are three different canopy styles which will suit your environment and your needs. 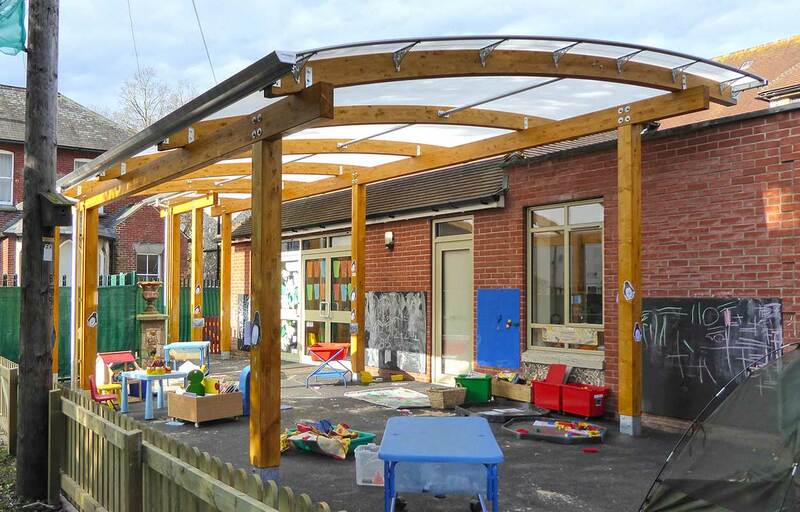 These styles can be built using timber or steel & fabric. 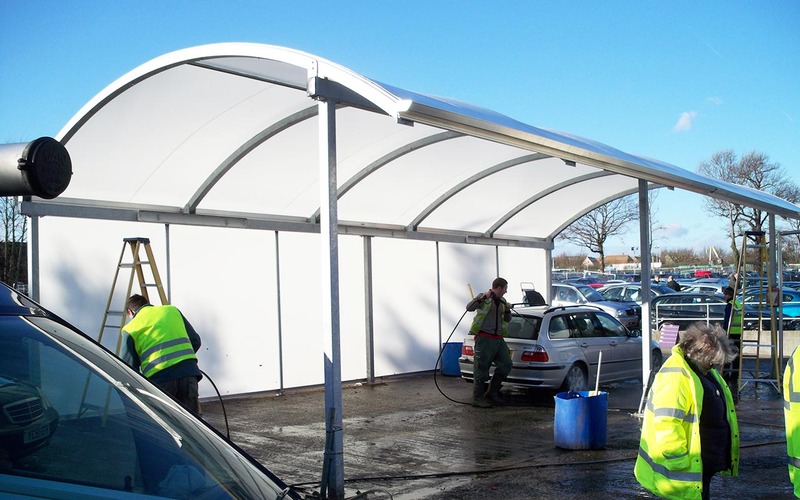 Fordingbridge’s design and build expertise qualifies to provide you with the most cost-effective and suitable design solution for your canopy needs. 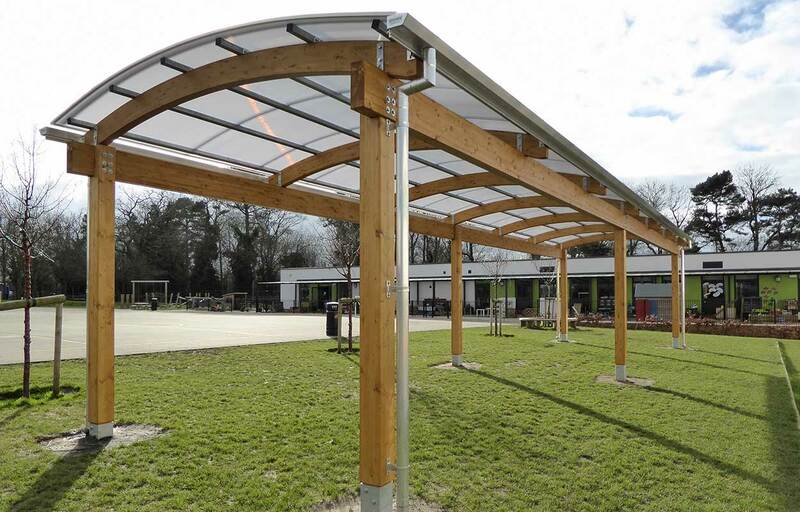 Starting from your free site survey and briefing meeting to delivery and installation, Fordingbridge offer one point of contact throughout your canopy project to deliver on time and budget. 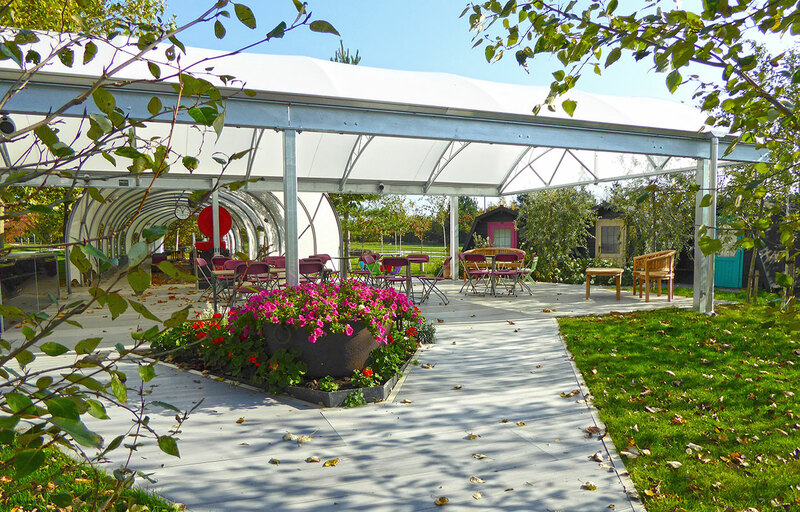 To give peace of mind, all our canopy structures are guaranteed for 25 years. 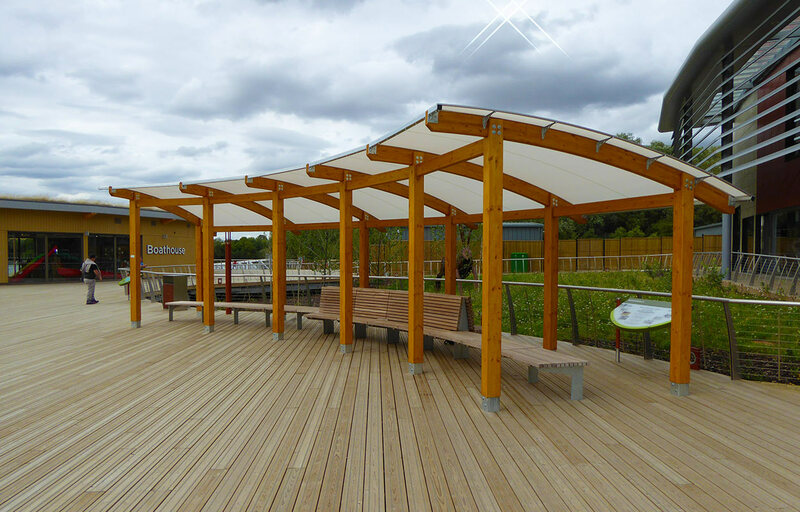 Fordingbridge timber canopies use ‘glued laminated’ timber (glulam). 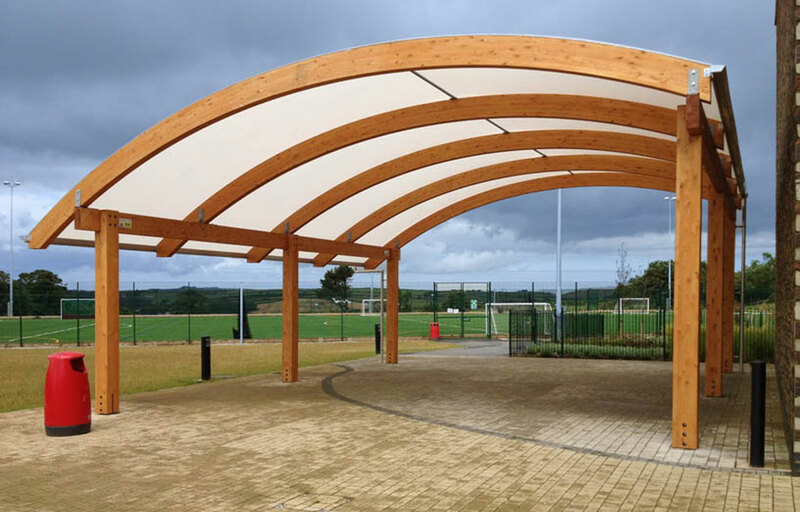 Glulam is an engineered wood product, which is manufactured from layers of parallel timber laminations, giving it superior strength and design possibilities to other timber options. 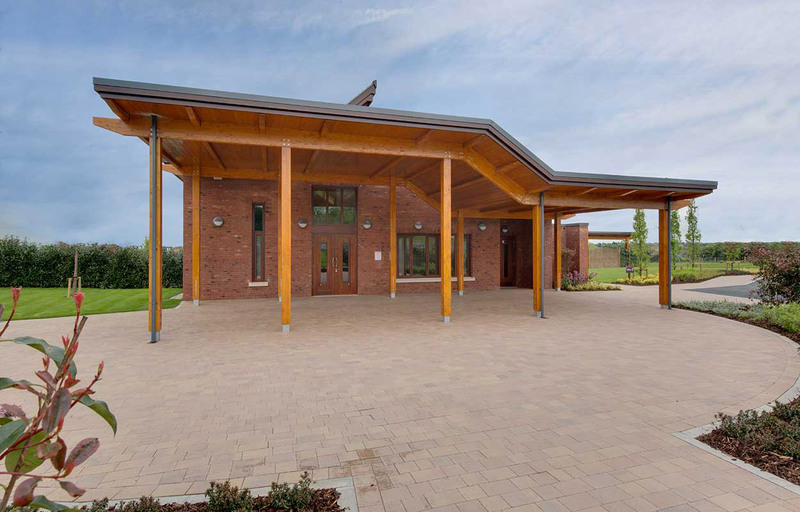 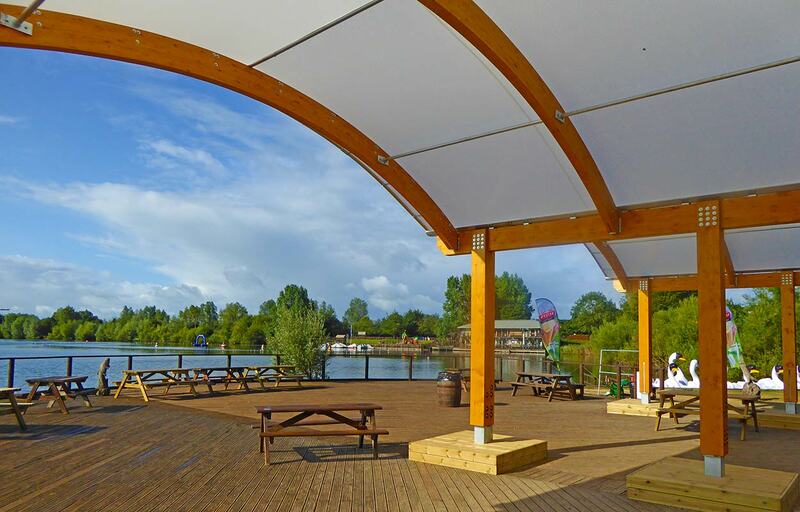 Timber canopies are available in straight and curved shapes and in a variety of coloured stains to complement your surrounds; glulam combines durability with a modern aesthetic. 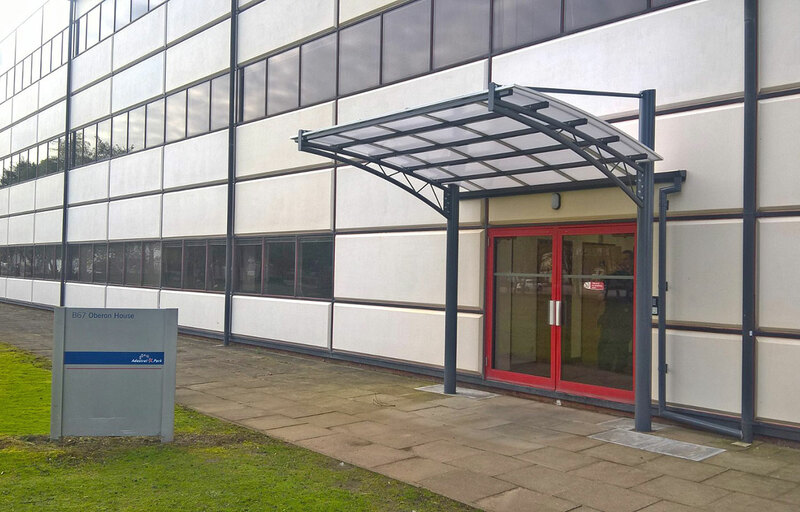 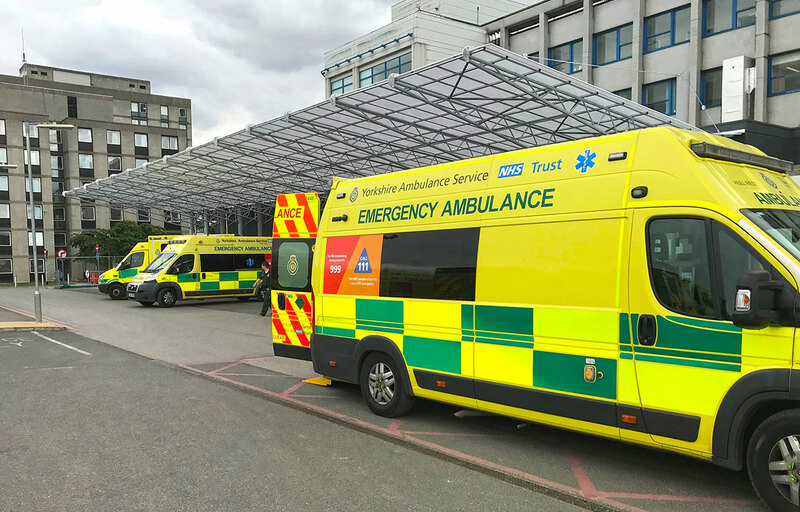 Steel canopies are available in a maintenance-free galvanized finish or with a polyester powder coated finish in any RAL colour to match your branding. 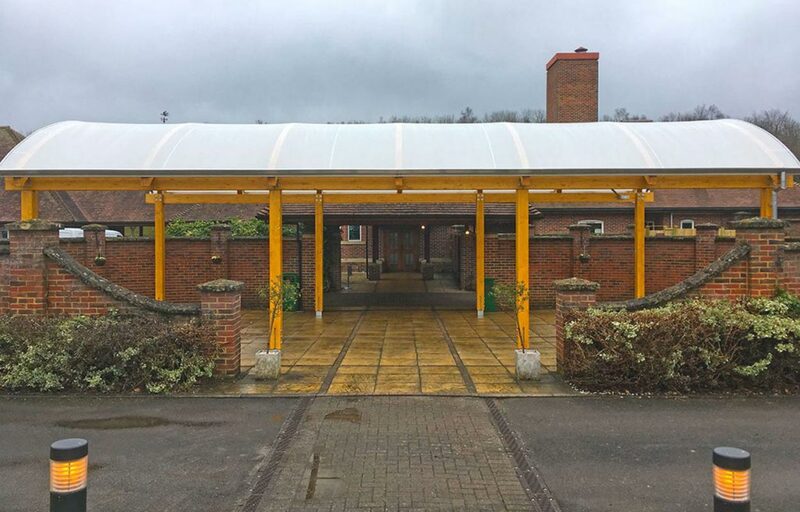 To give quality assurance, Fordingbridge manufactures all metal work or its canopies at its own CE approved workshop at the head office in Arundel, West Sussex.